While much of the technical specifications of the Magic Leap One: Creator Edition still remain a mystery, some clues to its internals are hidden among the guides in the now freely-accessible Creator Portal. An article titled "NVIDIA Tegra Graphics Debugger" appears to confirm that Magic Leap One (or ML1 for short) will contain an Nvidia Tegra processor. The customized version of the Nvidia Tegra Graphics Debugger for Android enables developers to optimize OpenGL applications. In its overview of the Lumin OS for ML1, the company notes that the operating system is derived from Linux and the Android Open Source Project (AOSP). The most potent Tegra processor available on the market today and designed for mobile devices is the Tegra X1, which powers the Nintendo Switch and the Nvidia Shield TV consoles. It's also a bit long in the tooth, considering it was unveiled at CES 2015. In 2016, Nvidia announced the Parker mobile processor for autonomous vehicles, and it's possible that ML1 will run on a version customized for mobile devices, or perhaps something newer. Graphics processing will be crucial if Magic Leap is to deliver on the promise of a "next-generation" experience for games from the likes of Weta Workshop and media such as the NBA app. 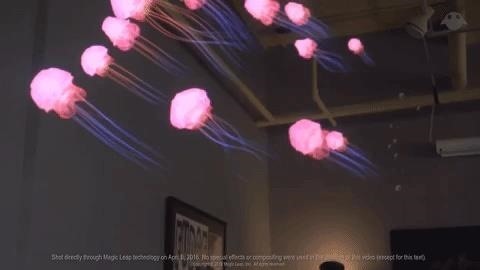 "At Magic Leap, we've worked with some of the world's leading creators, designing digital experiences that blend seamlessly with reality, enriching the physical space around us with objects and characters that respond to and interact with their surroundings," the company wrote on the blog post announcing the technical preview of its Creator Portal and SDK. If Magic Leap is waiting on Nvidia to prepare the latest chip it can provide, then the nebulousness around the ML1 release date is justified. Otherwise, including 2015 tech in a 2018 device could limit the lifespan of Magic Leap's first flagship device.